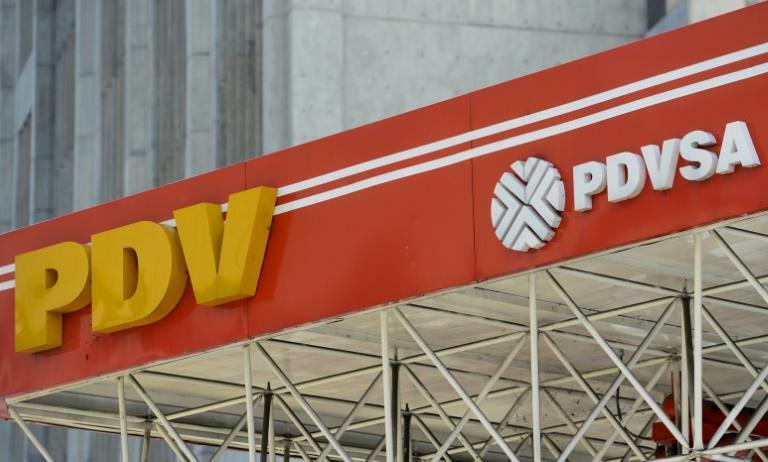 Crisis-plagued Venezuela suffered another blow Thursday as a committee of creditors ruled that state oil company PDVSA has defaulted on its debt, a decision that triggers payment of default insurance to investors. The setback for the oil-rich but cash-poor nation came as no surprise, as the government of President Nicolas Maduro has missed payments on sovereign bonds as well as PDVSA debt, even as the population continues to suffer from acute shortages of food and medicine. And major debt ratings agencies had already declared Venezuela and PDVSA to be in "selective default" due to the late payments on multiple bond issues. A committee of the International Swaps and Derivatives Association examined three missed PDVSA bond payments at the request of investors and ruled that "a Failure to Pay Credit Event had occurred," according to a statement. The so-called Determinations Committee for the Americas, comprised of 15 financial firms, said it would reconvene Monday at 3:00 pm (2000 GMT) to continue discussions on the auction procedure to pay out credit default swaps against the PDVSA bonds. The committee said "more detailed analysis will be forthcoming." But even with this latest evidence of Venezuela's financial collapse, the situation shows no signs of being resolved in the near future. Struggling with an estimated $150 billion in debt, the Maduro government called creditors to a meeting Monday to discuss restructuring -- the usual step for a country that can no longer pay its obligations -- but offered no concrete plan. The government signed a 10-year restructuring deal with Russia on Wednesday for a little over $3 billion in official debt, but observers say that will at best help resolve some payments in the short-term. Caracas has only $9.7 billion in foreign reserves and needs to pay back at least $1.47 billion in interest on various bonds by the end of the year, and another $8 billion in 2018. Russia and China are the two main creditors and allies of Venezuela, which owes them an estimated $8 billion and $28 billion, respectively. About 70 percent of Venezuelan bondholders are North American, according to government figures, and there are about $60 billion in PDVSA and sovereign bonds outstanding. Investors buy CDS as a hedge or insurance on that debt. An ISDA official explained that the next step to be discussed Monday is "whether to hold an auction to determine the settlement price that will then determine the payout in CDS," as well as the auction date. Venezuela's situation is unique from other countries that have faced a debt crisis: it is simultaneously riven by a political crisis and is facing US financial sanctions, an arms embargo imposed by the European Union, and even a call by Argentina for an oil embargo. The sanctions from Washington, which has labeled the Maduro regime a dictatorship, are particularly problematic since they prohibit US individuals and banks from buying new Venezuelan bonds, a requirement for any debt resolution. And unlike Argentina, which battled creditors in US courts for over a decade after its 2002 default, Venezuela has valuable assets in the US at risk of seizure, including oil exports and Citgo with its three refineries, owned by PDVSA. The nation depends on PDVSA's oil exports for about 90 percent of its foreign exchange earnings, but those earnings have been falling sharply due to lack of investment to update infrastructure even as oil prices have recovered.